Mama's Jewelry Review by Jenna Jackson | Mama's Jewelry - Designing rings and pendants for moms for 30 years! 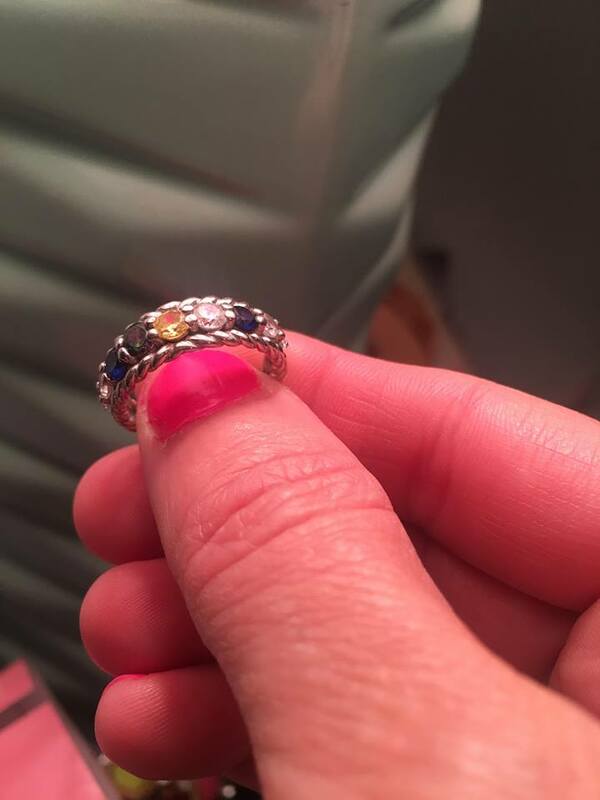 I previously posted about Mama’s Jewelry and am so excited to share my Mother’s ring with you that I recently received. Mama’s Jewelry has been designing rings and pendants for moms for 30 years now! The company is committed to creating exceptional mothers pendants, rings and earrings at affordable prices. 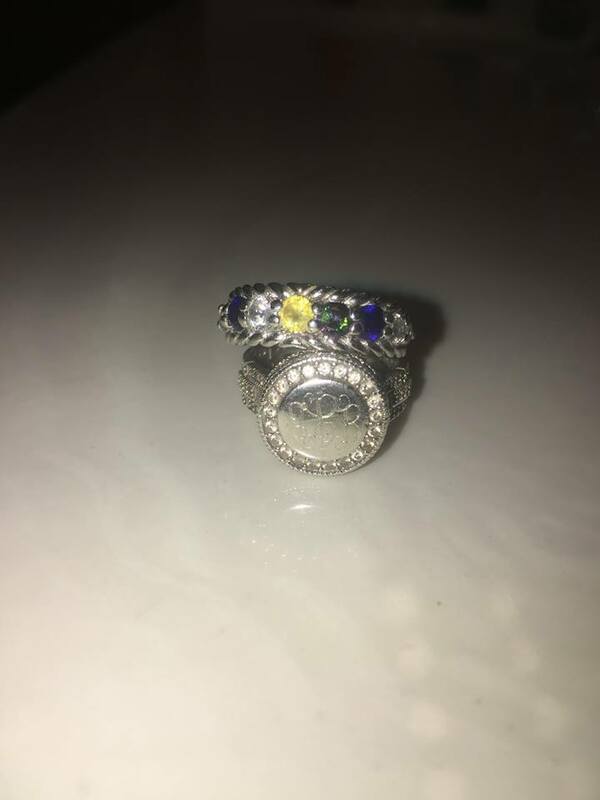 I was able to choose the ring of my choice and fell in love with the NANA Rope Mothers Ring. 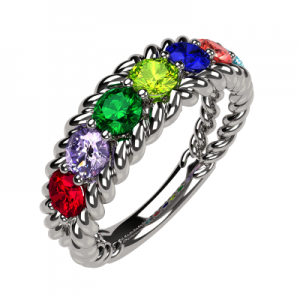 This ring is available in Sterling Silver, 10K or 14K Gold and you can customize it with 1-10 birthstones. I love color and wanted to add all of my family’s birthstones, not just the 2 boys. So I customized mine with 5 total –Craig’s is September, mine November, the boys April and September and I even added Whitley’s which is June. It turned out so pretty and has 9 stones total. On each end there are 2 diamond stones, then Sapphire for September, Topaz for November, Diamond for April, Alexandrite for June, and another Sapphire for September. It’s so pretty. I love all of the colors with the rope detailing. I’ve been layering the ring with my fave monogrammed ring and love the way it looks altogether. 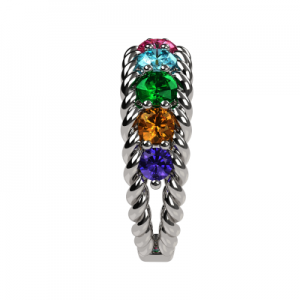 I love my ring and love that I can wear a piece with every family members birthstone. Every time I look at it on my hand I think how special it is. 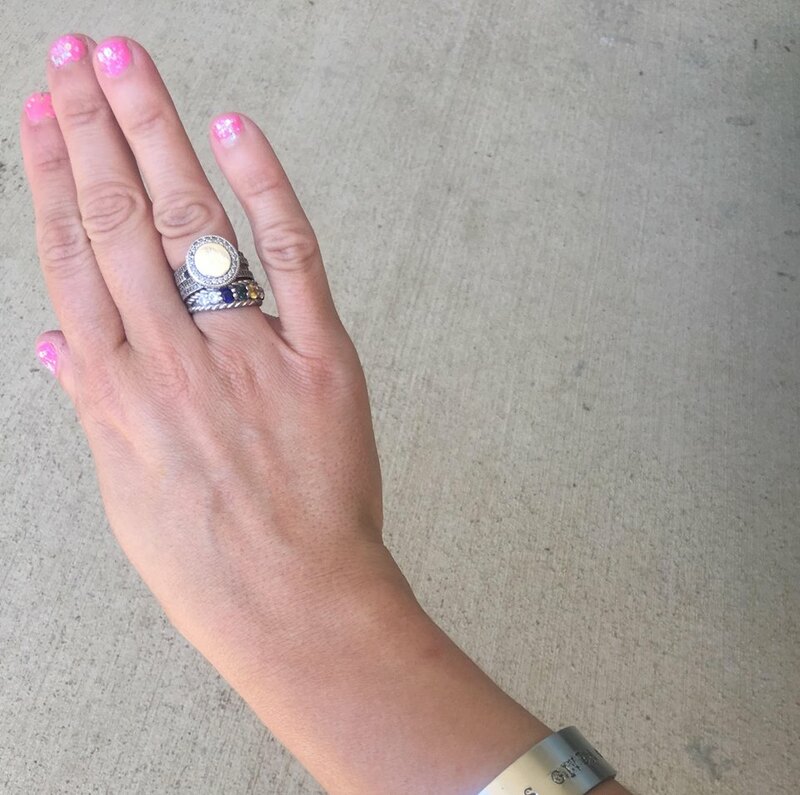 Not only do I love my new ring, but I love that Mama’s Jewelry offers a quick 3-5 day turn around time, along with free shipping and a 30 day satisfaction guarantee! Go check out their site and create the perfect piece for you or your loved ones now…. BE SOCIAL: Like Mama’s Jewelry on Facebook, Follow on Instagram and Twitter @MamasJewelry.